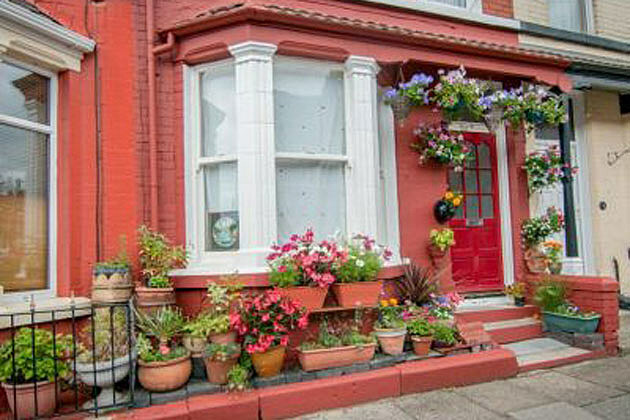 The current owner of John Lennon‘s boyhood home is looking for a larger garden, so he’s putting the historic red-bricked terrace house up for auction later this month. The late Beatle‘s first home will go to the highest bidder on Oct. 29. It’s believed that only a few people have owned the home since Lennon and his family moved out when he was five years old. While he lived there for just five years, the place played a significant role in his life and music. The address — 9 Newcastle Rd. in Liverpool — is one of many associations Lennon had with the number nine. It’s also believed that he wrote ‘One After 909′ there many years later. The auction listing makes note of the home’s proximity to Penny Lane and the area that inspired so many of Lennon’s songs. It’s a three-bedroom, one-bathroom, two-story home with a bay window. The backyard is walled in, but apparently not large enough for the current owner.